the amount of resources each individual within the community is consuming. 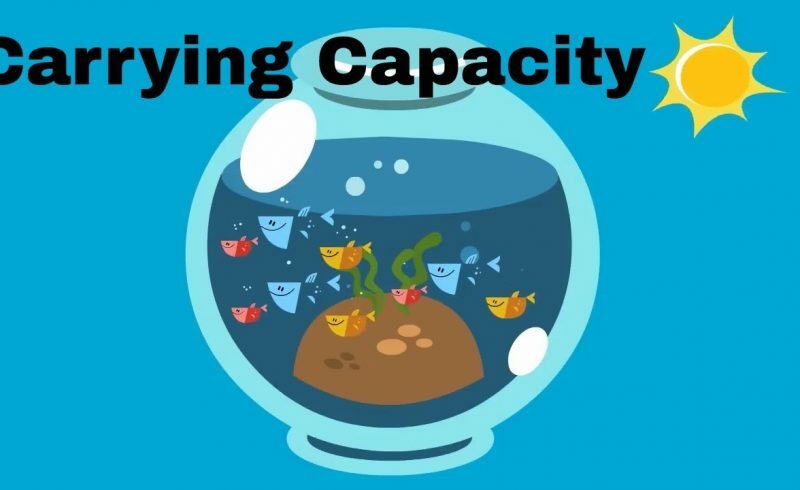 The concept of carrying capacity is closely related to the idea of “capital”. The term “capital” is most commonly used to refer to money and material goods. However, in the context of sustainability, communities have several different types of capital that need to be considered – natural, human, social, and built capital. Together, these types of capital are referred to as community capital. All four types of capital are necessary for communities to function. All four types of capital need to be managed by a community. All four types of capital need to be cared for, nurtured and improved over time. A community that is living off the interest of its community capital is living within the carrying capacity. A community that is degrading or destroying the ecosystem on which it depends is using up its community capital and is living unsustainably. Carrying capacity is much harder to measure for human, social and built capital than for natural capital but the basic concept is the same – are the different types of capital being used up faster than they are being replenished? A community that allows its children to be poorly educated, undernourished, and poorly housed is eroding its human capital. A community that allows the quality of its social interactions to decline through lack of trust, respect, and tolerance is eroding its social capital. A community that allows its buildings, roads, parks, power facilities, water facilities, and waste processing capability to decay is eroding its built capital. Additionally, a community that is creating built capital without considering the future maintenance of that capital is setting itself up for eventual decay. So, in the context of sustainability, carrying capacity is the size of the population that can be supported indefinitely upon the available resources and services of supporting natural, social, human, and built capital.